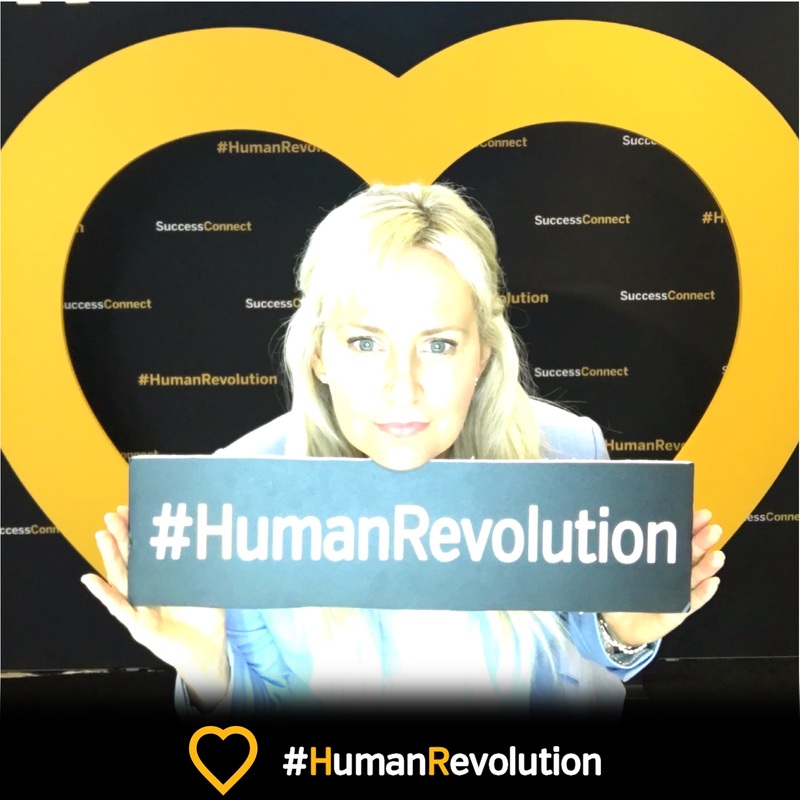 My SuccessConnect 2018 Summary with a focus on ERP, SAP Analytics Cloud (SAC) and all things Payroll. In September 2018, I had the opportunity to attend the annual SuccessConnect 2018 event held in Las Vegas. It was reported that there were over 4,000 attendees and 140 sessions, including 101 provided by customers. In addition, there were over 800 partners in attendance. 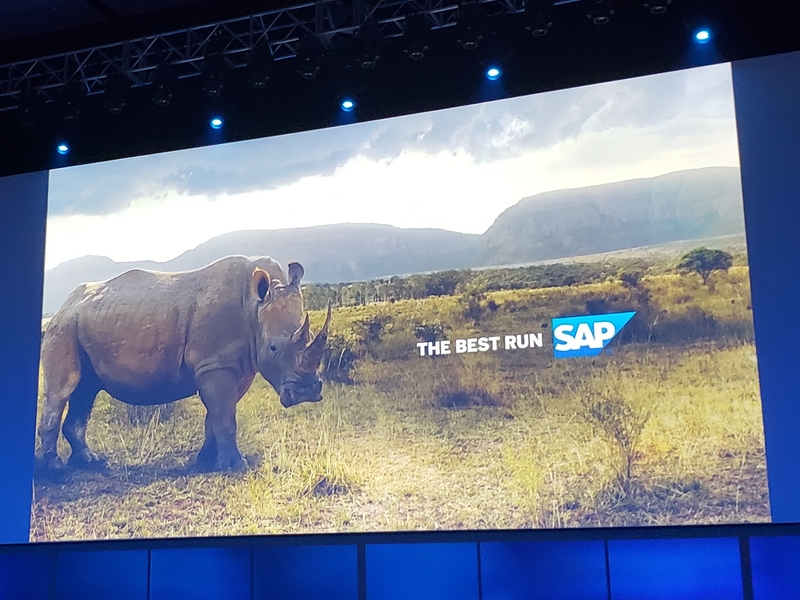 While waiting for the keynote to start, I was excited to see the ERP messages on the keynote screen featuring SAP’s partnership with ERP and groupelephant.com. To learn more about how a bold, non-profit organization called Elephants, Rhinos & People (ERP) is helping solve one of the world’s tragic problems with support from SAP, start here: https://discover.sap.com/best-run/en-us/customer-erp/index.html. The keynote commenced with SAP SuccessFactors President Greg Tomb, who shared that “it is time for a #HumanRevolution…the old ways of working do not work in today’s world”. 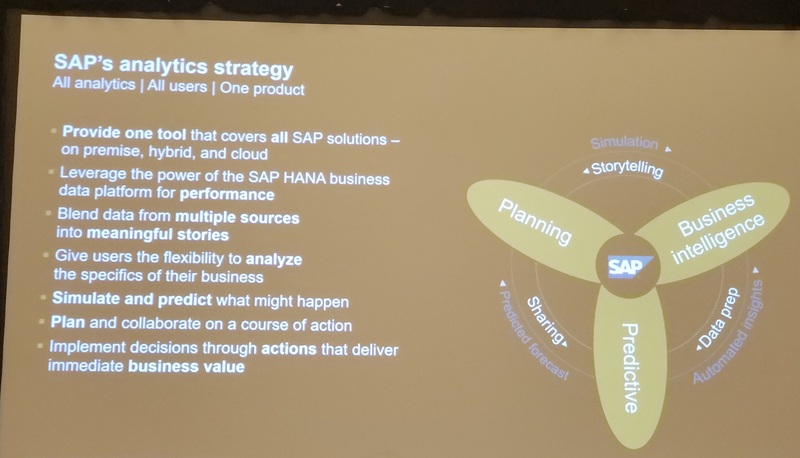 I was happy to see that the mention of the SAP Analytics Cloud (SAC) was a key area of focus within the first few minutes (see picture above), because as we learned at SAPPHIRE 2018, it is the most exciting new offering for SAP HCM and SAP SuccessFactors customers. All users, all analytics, one product! 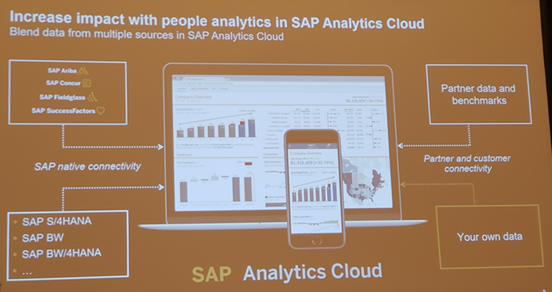 SAP Analytics Cloud is the long overdue innovation that SAP HCM reporting needed. Finally, there will be one place for all things reporting analytics and collaborative planning. Any question from anyone at any time! All of the concepts of ‘Intelligence’ introduced at SAPPHIRE 2018 were reiterated at the conference. Currently in Beta availability, SAP Analytics Cloud is designed to contain live data, a guided experience, and will serve as the single reporting solution that leverages modern design principles and interactive (not static) data. It will also include “delivered content and analytics and industry benchmarks”. The goal is for SAP Analytics Cloud to be the bridge across the enterprise for all data. For HCM, the access point for data in SAP Analytics Cloud (SAC) will be The Report Center. Launched in 2017 as a consolidated front-end experience for customers to interact with the various HCM reporting tools, the Report Center will continue to be the face and front-end for reporting. This solution, which is currently in a closed Beta launch, will eventually replace all other tools: ORD, Ad Hoc, BIRT, Tiles etc. The next step planned in the Roadmap is to unify the back-end processes that drive the Report Center, which starts with unifying the data layer leveraging HANA. So regardless of where you get the data, it’s the same experience allowing you to include data from virtually all SuccessFactors sources into a single query including Learning. So far, approximately 2,000 customers have enabled the SuccessFactors Report Center. All SuccessFactors reporting tools, including Workforce Analytics, will fold into or be replaced by SAC. SAP SuccessFactors is looking into creating a migration tool to assist customers in validating and migrating old reports to SAC. Please note some people refer to the use of the Report Center powered by SAP Analytics Cloud as People Analytics, or the Unified Reporting Solution. When will SAP Analytics Cloud (SAC) be launched? SAP Analytics Cloud is in Beta with a small number of customers, with a limited set of data and a limited set of capabilities, as of September 2018, with a planned launch to a larger Beta audience (manual sign-up) in the first half of 2019. The plan is to make it generally available by the second half of 2019 to include all data including SAP SuccessFactors Learning, enablement of Pixel Perfect and mobile. When do they shut down the old tools? A phased approach to sundown old solutions was communicated at SuccessConnect. These are indicative timelines only and subject to change based on customer feedback. More concrete timelines will be communicated closer to general availability of the solution. No additional license is planned to be required to access basic People Analytics, with additional items available at a cost. I participated in a Facebook Live interview about the exciting news around reporting in SAP SuccessFactors around SAC, see it here. The second functional area that I was keenly interested in is, of course, Payroll. 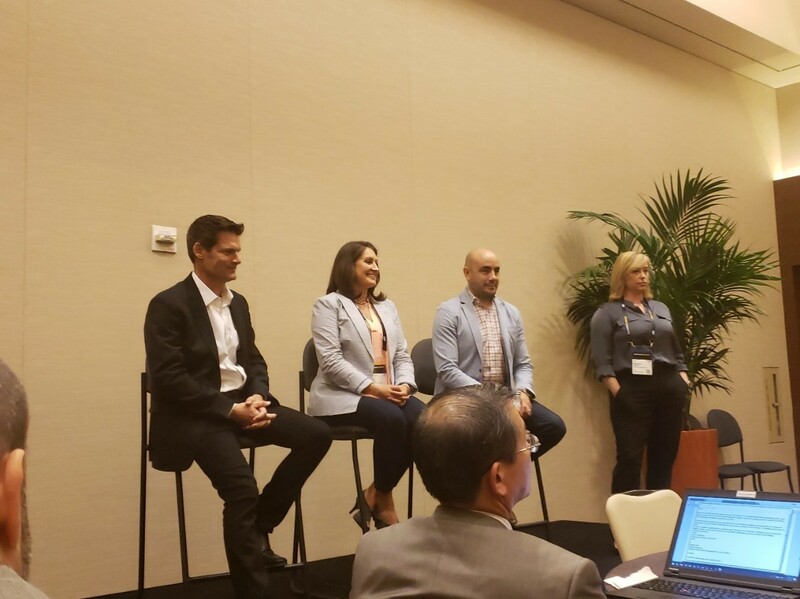 Because of some scheduling problems, I missed the session titled “Overview and Road Map: Payroll Strategy for SAP SuccessFactors Solutions” although custoemrs can access the roadmap at any time. To check to see which Roadmaps have been updated by SAP, follow the instructions here. I did take an opportunity to participate in the press interview of Greg Tomb, James Harvey and Amy Wilson. I asked about the possible extension of the 2025/2030 date and Amy replied, “The joy of being in charge of customer maintenance is that we can be ready to extend the date as needed at any point”. Like many in our field, I suspect the date will continue to be extended as SAP On-Premise Payroll customers have been slow to start their journey to the cloud for Employee Central Payroll or SAP SuccessFactors Managed Payroll. Many in the industry speculate about the next evolution of SAP SuccessFactors Payroll and what will be included in it, what platform it will be built on, what year it will surface etc. 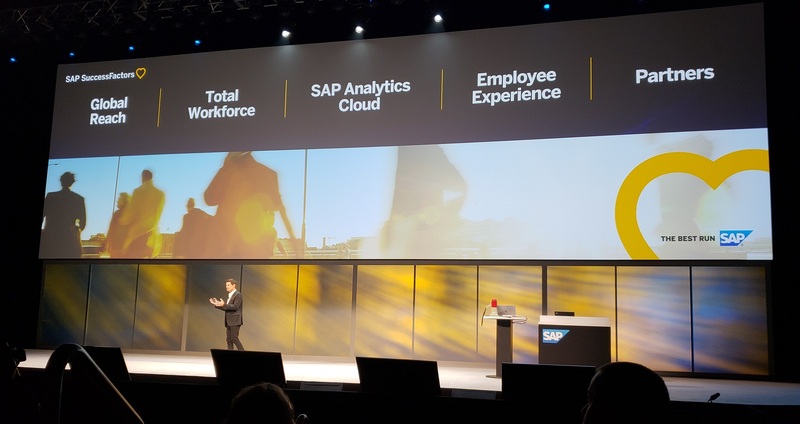 Formal SAP soundbites in the past are often along the lines of “yes we are working on a next generation payroll, because like all of the SAP and SAP SuccessFactors solutions we continue to innovate every day.” I asked Greg Tomb about next gen payroll and his formal answer was “…there is a focus on it but we are not at a point to communicate dates… no additional comments will be provided at this time”. Its an exciting time to be in the SAP SuccessFactors space, stay tuned for future updates..
Cross-posted with additional graphics here.